Known as Rae to her 170,000+ subscribers on YouTube, Rachel Lyu is a former freelance makeup artist for beauty pageants and special occasions. She launched her "RAEview" YouTube How-To & Style channel in 2010 as a resource for luxury and designer cosmetic tutorials and reviews, and has since become recognized as a top beauty guru by numerous publications and prestigious brands. 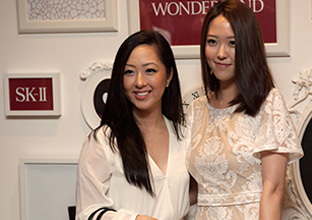 At the InStyle Social Media Awards 2013, Rae was awarded for the "Best Make Up How To". Her blog, The RAEviewer, has also been highlighted as a "New Beauty Blog Worth Bookmarking" by the popular American style website Refinery29 in June 2013. Rae’s videos focus on both skincare and makeup, with her background as a makeup artist lending credibility to her expert opinions. She is the sole writer, swatcher, and primary photographer for The RAEviewer. She currently boasts more than 50,000 followers on Instagram, and over 15,000 on Twitter. Rae customizing a bottle of Facial Treatment Essence. Taking a peek into Rae's skincare regime, Rae's toner of choice is Whitening Source Clear Lotion for its fast absorption, making her skin "feel ultra-soft". Her next essential is SK-II's signature Facial Treatment Essence, which boosts her skin's hydration to eliminate dry patches. "My skin feels more dense, plush and bouncy," she said. 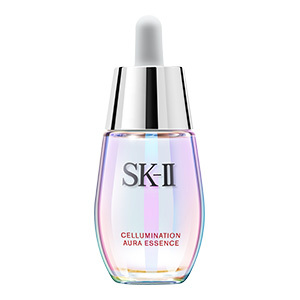 When it comes to serums, Rae declares Cellumination Aura Essence to be "one of the best layering serums out there... I love it because it has an instant brightening effect, and you see how smooth your skin looks." Lastly, after using Facial Treatment Essence-Eye for more than four weeks, Rae raves: "I think it's one of the best eye creams! It's light enough for everyday use, absorbs instantly, and doesn't cause milia. I highly recommend this!" See more from Rae on The RAEviewer blog and her a YouTube channel.